Improvements have been made to a public footpath on the Isle of Man to encourage commuters to cycle to work. The three-mile (4.8km) cycleway will open at the end of the month between Crosby and Union Mills, villages between Peel and Douglas. Manx Infrastructure Minister Phil Gawne said he hopes people will use it as "a healthy way of commuting into Douglas". The path occupies about one third of the former steam railway line which once ran between Douglas and Peel. The government said further improvements, including an extension towards the south of the island, would depend on the availability of further funding. The heritage trail, which has information along it telling the story of the old railway line, was made from about two tonnes of material taken from Peel Road in Douglas during recent road works. 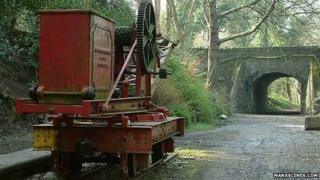 The Isle of Man Steam Railway operated between Douglas and Peel between 1873 and 1968 - Union Mills and Crosby were both original stations on the line. The railway, one of the island's top tourist attractions, now only runs between Douglas and Port Erin.